Mixed Nuts, Raw 12 oz. 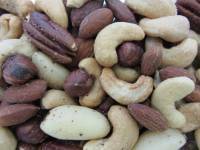 Description: Our premium mix of roasted and salted nuts has the finest pecans, cashews, Brazil nuts, almonds, and filberts (hazelnuts). No peanuts. Mixed Nuts, Roasted & Salted 7 oz. 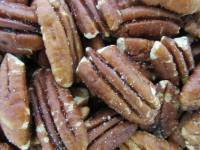 Description: Delicious golden brown raw pecan halves add a rich, meaty texture to sweets, snacks, salads and entrees. Description: Delicious golden brown pecan halves add a rich, meaty texture to sweets, snacks, salads and entrees. Ours are roasted and lightly salted right here at Bates Nut Farm, giving you a fresh, toasty, nutty flavor. 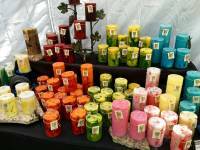 Description: Our raw pecan pieces are convenient and nutritious. Ready to add to your favorite recipes!